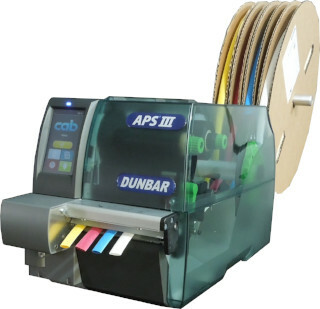 The Dunbar APS™ III marking system is specifically designed for permanent thermal transfer printing on many types and formats of heat shrinkable tubing. 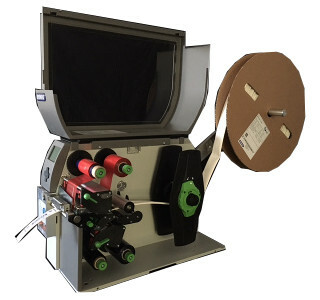 The Dunbar APS™ XD4T marking system is specifically designed for permanent double sided thermal transfer printing on many types and formats of heat shrinkable tubing. Prints on polyolefin, polyvinylidene floride (PVdF) and Kynar heat shrink plus ID Tags and labels.